Every now and again I find signs which must be shared. These are necessary in order for you and your loved ones to remain safe and healthy while visiting Japan and perhaps other places in the neighborhood. Please study diligently as this may be the only explanation you receive. Sign Location- The Great Wall of China. WARNING. This sign is X Rated. 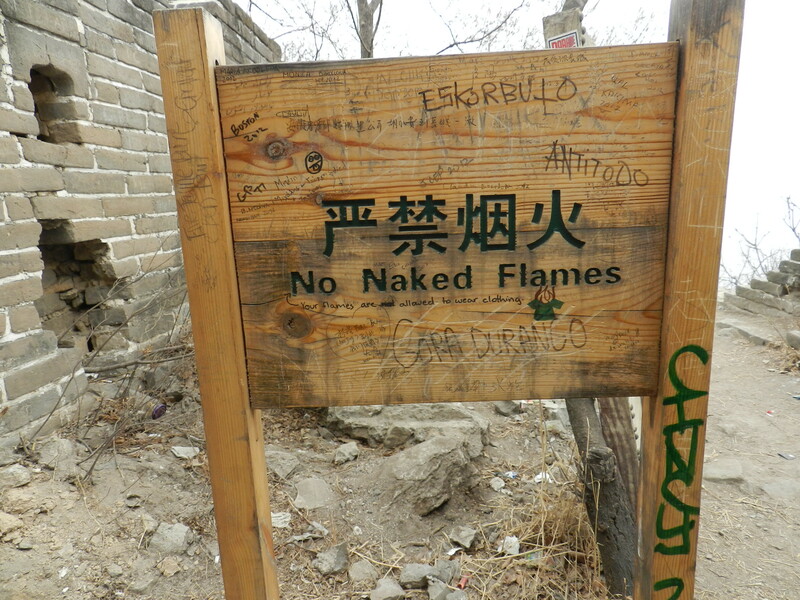 Luckily we didn`t run across any naked flames while hiking the Great Wall. I warned Offspring #2 that should we see any naked flames I would be forced to cover her eyes quickly and without warning lest they burn her eyes. Truth in Advertising. The population with the highest number of octogenarians is in Okinawa. It`s not due to green tea, exercise, diet or any of the other factors recently highlighted in longevity studies. 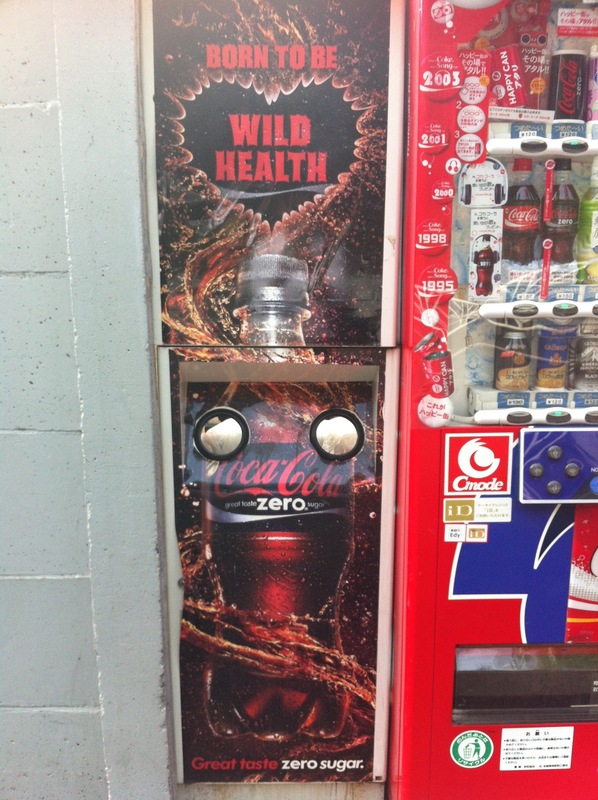 It`s the condition referred to as “Wild Health” produced by consuming Coke Zero. Drink lots of it while you`re here. Bottoms Up! Here`s looking at you kid. Railroad Crossing Safety- There have been far too many accidents involving people walking bears and cats across the railroad tracks. STOP when the railroad crossing signal starts! And please make sure your bear and cat are in a proper sit for safety. Toilet Etiquette– The information desk at the Kyoto train station has been overwhelmed with questions regarding toilet technique. In order to free the personnel up to answer inquiries related to bus schedules and geisha sitings, these were installed in all stalls. This is not for drinking. Feet flat on the ground. 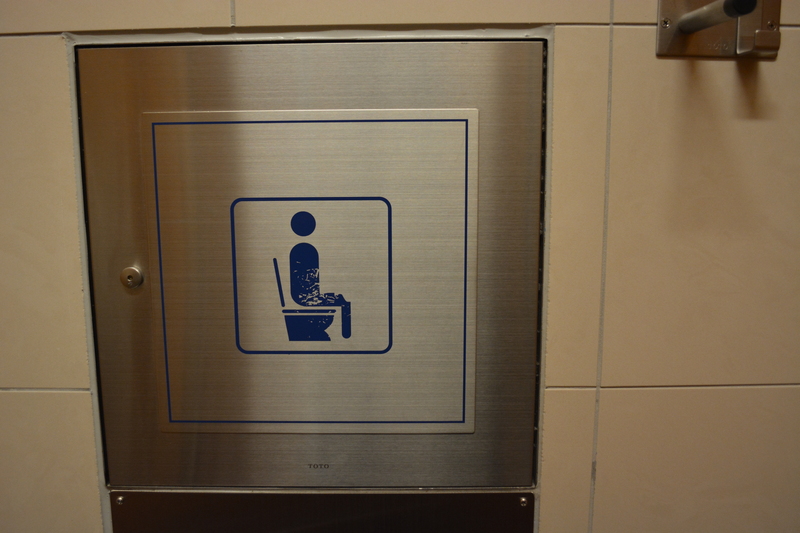 Some of you who`ve read previous posts know that the toilets here make “Flushing Noises” to cover up embarrassing sounds. Push the button, fake flushing ensues, and neighbors don`t get the opportunity to snicker at any echoing repercussions from the previous night`s dinner. Ann of Green Gables demonstrates how to block out unwanted noise. But what about the situation where you just need a cozy spot to curl up and read a good book? Fashionable ladies like the one above sometimes take the opportunity to simply sit and read on the toilet. Have you ever been in your own public bathroom reading nook only to have a critical plot twist disturbed by a thunderous fart from next door? Problem solved. Just press the button! It`s like white noise. Flushing noise drowns out all unwanted distractions. 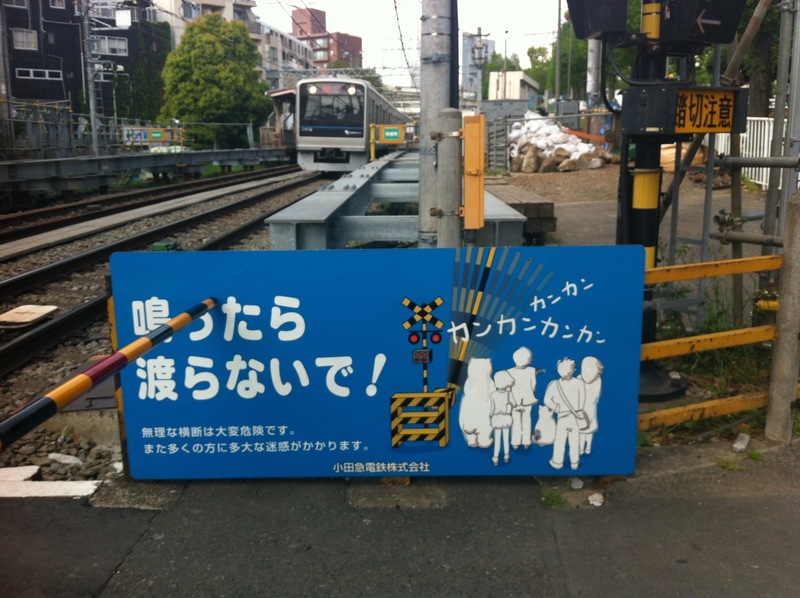 This entry was posted in Moving to Japan and tagged Amblerangel, Culture, Emily Cannell, ExPat, Hey From Japan- Notes on Moving, Humor, Japan, Moving, Signs, Tokyo, Travel. Bookmark the permalink. Sitting in a meeting in Portugal, we all took a break and read this one- we’re laughing out loud. I love this post! I know! I`m sorry you`d seen Cooking with Poo before. I`m sure your creativity is now at an all time high after your laugh break. haahahaha gave me laughs and a good insight into #healthandsafety! Thanks for stopping in EL! Glad you liked and thanks for reblogging! Oh my gosh! Laughing so hard it hurts! Especially with your commentary and after my horrendous Monday in Boston! SO glad and thankful to hear from you and know you are ok.
Folks- Ann Marie had crossed the finish line in Boston and was a block away when the first bomb went off. Glad to give you a laugh or two! If I were there I`d kiss your whole face. So funny! And I also enjoyed the tequila ad at the bottom. He told me he loved me and also said “muchos besos” (many kisses). What has my life come to??? Thanks PO- I just realized I left a few out. More to come! This is too funny! 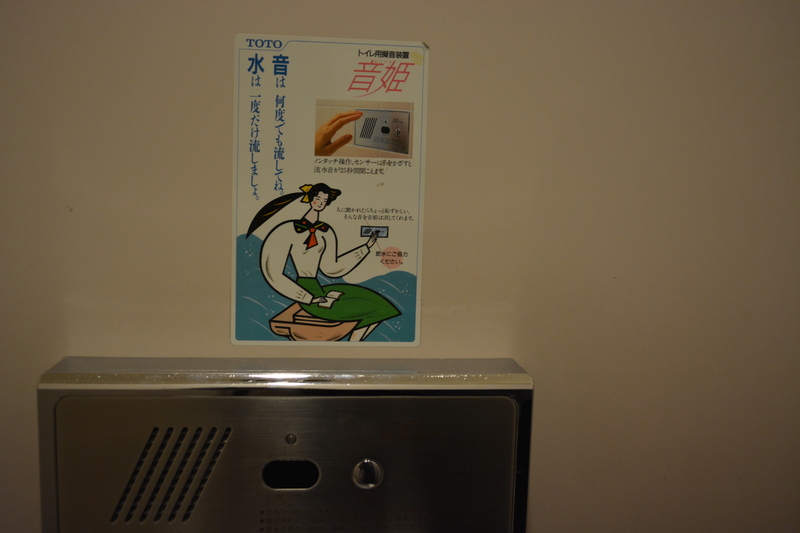 When I was in Yokohama for a convention I needed to use the hotel restroom. I had no idea one side was for Japanese ladies and the other side was for foreign guests. That was…educational. Japanese Western-style toilets are so much fun, with all those buttons! Hard to go back to the Western style! Love a heated seat! The bear had me laughing so hard that when I read “Not for drinking” I could not breath. I still laugh when I see the one of the seated person. I remember when I went to Japan the two phrases that got me through most situations were “kisu shiite” and “kawaii” . I got a lot of slaps. Yes- Kawaii is a key word to know when in Japan! I don`t know what kisu shiite means? I`ve got a couple more stashed for my next sign post…. Late to the party, but I LOVE me some signage. These shots are all great– my fave is the Naked Flames one. 🙂 Hope the move to Canada is treating you well…. are you there yet, or still in the process? Did you mean to write Champion Jacket? Not quite sure I`Ve ever had a response like that but – thanks!